There are thousands of ways to make money online, the simplest of which do not involve marketing knowledge. One significant exception is arbitrage, where you leverage the power of a brand or product that people already know about and want. You find it at a better price, sell it to a pre-existing market, and profit from the difference. This makes it one of the simplest ways for someone to get started making money online. On this episode, I’m joined by not one, but two industry insiders who are going to give us a behind-the-scenes tour of the world of arbitrage, which simply involves buying low and selling high. 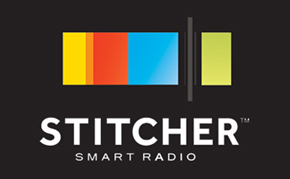 Jon Shugart is an entrepreneur at heart and a computer programmer by trade. 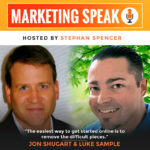 Luke Sample is a serial internet entrepreneur and black hat SEO. Together, they are the co-creators of BookTrades Biz. 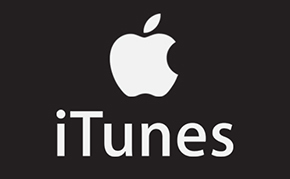 If you’re ready to learn how to build an internet empire from anywhere in the world, this is the episode for you! Imagine that you’re jobless and struggling to make ends meet. You hear about a program that can teach you to make money working on your own so you submit an application. You make it to the final round of applicants, only to get a call saying you’ve been rejected and the program has chosen someone else. What do you you? Do you accept the rejection? Plan to apply again next year? Or tell them that they’ve clearly made a mistake and you’re the right choice for the program? Today you’ll learn how to turn this kind of rejection into a new opportunity. Robert Allen is here to inspire you to do extraordinary things in your business and to transform your finances. Robert is a #1 New York Times bestselling author who has already written 11 books (and has 10 more in him). There are a few Internet Marketers that are in the “inner circle”. These are the people who understand the tried and true principles of marketing along with the coolest and latest techniques. I just a happen to have one of these people on my show today. 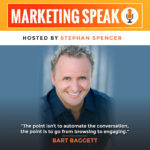 Bart Baggett is a marketing expert, bestselling author, speaker, and leader of a marketing mastermind. He is also an expert in NLP and handwriting analysis. He understands marketing and the human behaviour behind the marketing concepts. 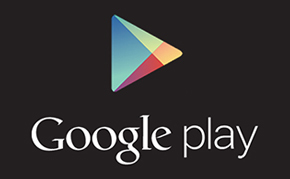 Today, we discuss the new breed of marketers who are doing funnel marketing. Using chatbots like ManyChat in conjunction with Facebook ads to begin a conversation that can lead to more authenticity and possible conversion. 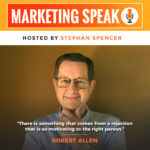 We talk about creating lead machines where trust is built through sharing information that answers real problems, and how understanding your business model and what you are selling is the basis for creating a marketing plan. We talk about membership sites, online courses, and how much time you need to invest when selling high-end and lower-end products. 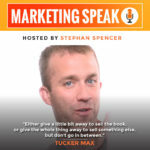 In this conversation we talk to Tucker Max, who has the remarkable honor of being one of only three writers ever to have had three books on the New York Times nonfiction bestseller list at the same time. 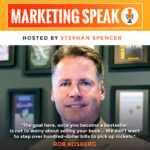 We talk about his company (Book in a Box), as well as how to turn an idea or your knowledge into a book, and then how to make that book a bestseller. Today’s guest, Rob Kosberg, has an impressive list of credentials. He’s a two-time international bestselling author who has been featured on ABC, NBC, CBS, Fox, and more -- in addition to having had his own radio show. What he does now is, perhaps, even more interesting: through his company Best Seller Publishing, he offers a revolutionary hybrid ghostwriting system that lets entrepreneurs, coaches, consultants, and other professionals write a book in their authentic voice without doing the writing personally. What’s more, he guarantees that the resulting book will become a bestseller.